Welcome to the Basel Dress tutorial! If you're joining along with me this week you'll have a completed Basel Dress ready to wear for the week-end. Day 1 - Cutting out the pattern and measuring for for fit. Starting to assemble the bodice and bodice lining or self lining. 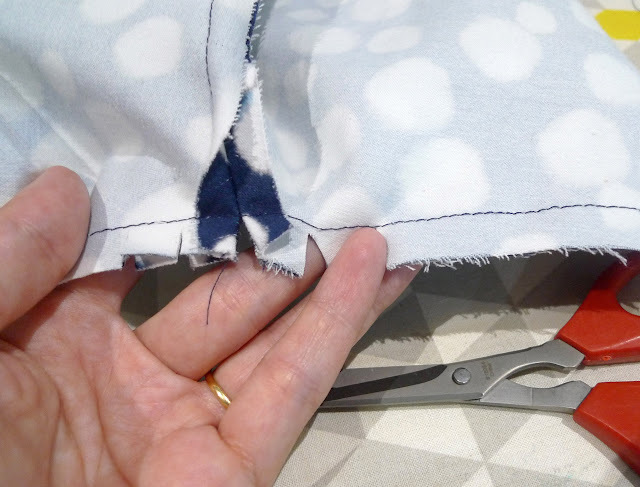 Day 5 - Making the kickpleat, finishing the hem and finishing touches, plus a bonus tutorial for finishing the kickpleat when you are working with a lining. We're starting this tutorial after the print-at-home A4 pages have been taped together. If you haven't already cut out your pattern and checked for fit, Day 1 does a lot of this heavy lifting to get going. Don't worry if you fall behind, as the following days are relatively lighter and you can move anything unfinished forward a bit. Trace out your size using coloured marker, this will make it easier to stay true to your pattern line. Cut out the pattern for your size. You have a couple of options to lengthen or shorten the pattern at the bodice and the skirt, depending on your height and proportions. This pattern was made to fit a 5'7" frame, however even if you are that exact height you may still need to adjust the pattern to fit your proportions. Everyone's proportions are different - for instance I'm 5'4", and I shorten the skirt but not the bodice because the bodice happens to fit my torso length. The waistline on the Basel dress should hit your natural waist. (Remember to account for the seam allowance). If you have measured and you are still unsure, this is where it really pays to make up a quick toile. 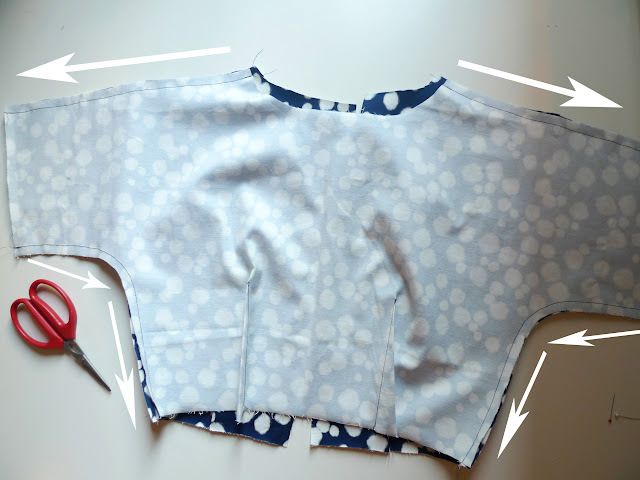 You can skip the lining and self lining for a toile and just assemble the shell to get a feel for how the sizing and proportions fit your body. Also, before you lengthen or shorten the skirt, remember that there is a 4cm hem already built into the skirt (plus 1cm for turning over the raw edge of the fabric). To lengthen or shorten the pattern, cut along the lengthen or shorten lines and mark where you wan to lengthen or shorten to. Below I am making the skirt 1cm shorter in length. Match the pattern so that it lines up perfectly at the centre front and secure. Make sure that whatever you do the front, you do equally to the back. Blend the pattern along the side seams. Trim away any excess. I would not recommend self-lining the skirt (ie using the same fabric for the skirt lining as the main fabric). The diagram below shows how you might arrange the pattern on your fabric(s), which will vary according to the size you cut out and your fabric widths. The only rule is to ensure that the grainline on your pattern piece matches matches the grainline of the fabric. The best way to do this is to measure the distance between each end of the grainline marked on the pattern and the fold of the fabric, and make sure they match. 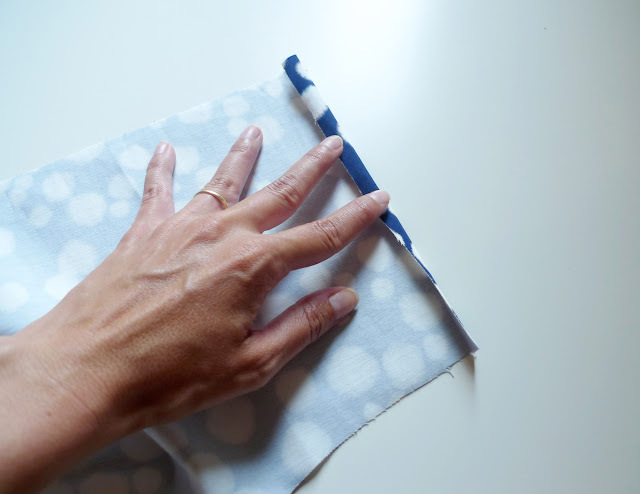 If you are unsure about what the grainline is and how to find it on your fabric, there are a number of great online tutorials that give you a quick overview, like this one here. 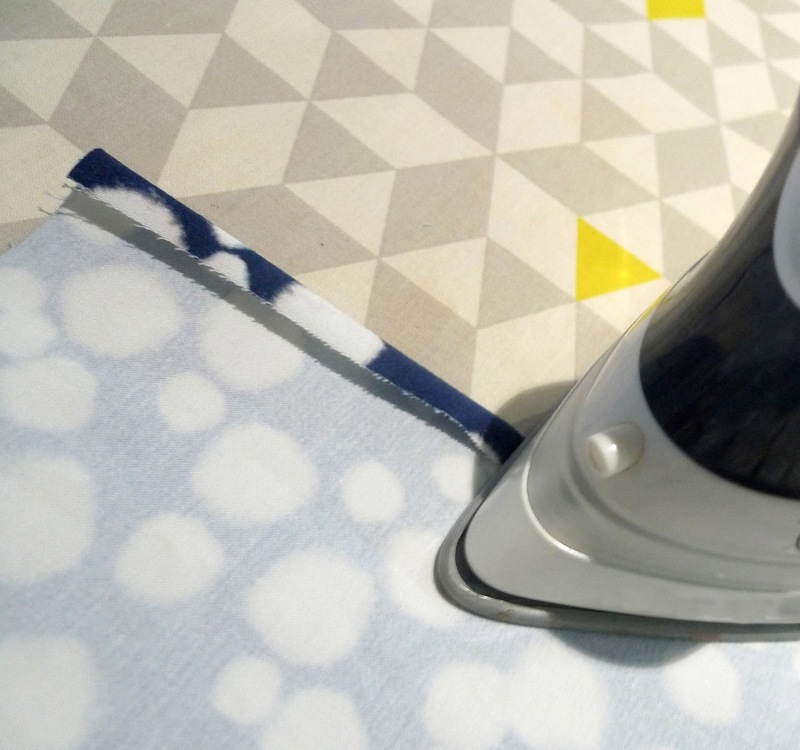 Lay the pattern pieces flat, pin in place and cut around the pattern pieces with scissors or a rotary cutter. With your pattern pieces cut out, transfer all of the notch points and dart points to the fabric. For notch points on seams, you can clip into the seam allowance of the fabric (but be careful not to go through the 1cm seam allowance) or use a chalk pencil or a fabric marker (shown on the right). And now it's finally time to start stitching! Let's start with the bodice. Hold your bodice piece upside down, and try to get the natural fall of where the bodice dart point is directly vertical to your fingers and the dart leg notches match up when folded right sides together. With right sides folded together, use your chalk or fabric marker to draw the dart leg, matching the notch point at the waist to the tip of the dart. Pin in place. Stitch from the waist to the tip of the dart and tie off at the end. Repeat for all darts on the bodice shell and the lining or self-lining. Press the front darts toward the side seam and the back darts toward the centre back. (Not shown). It's a good idea to stabilise the neckline to prevent any gaping, which is more susceptible in some fabrics than others. Stitch a line of stitching from the shoulder to the centre front on the bodice front, and from the shoulder to the bodice back on the centre back. Repeat for lining or self-lining. 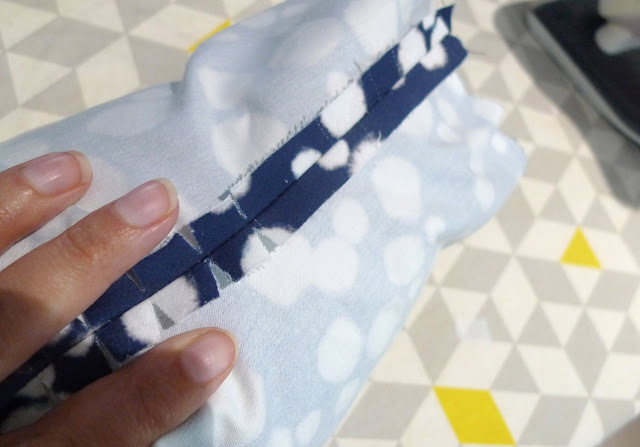 Press a 1cm seam allowance at the sleeve ends. 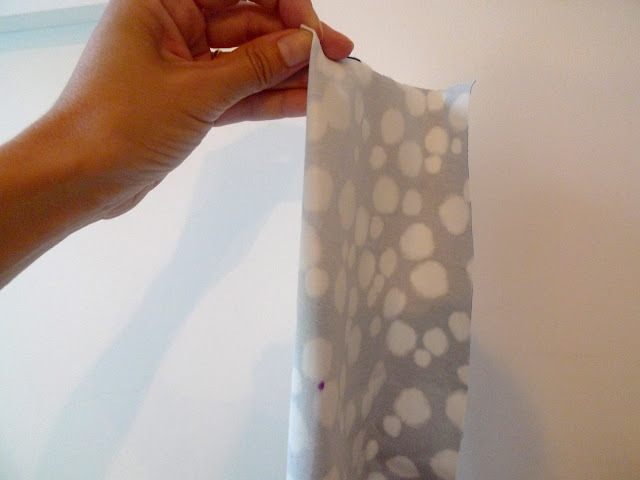 This will be used as a guide for sewing the sleeves at a later step. Do the same for the lining or self lining. Sew the bodice front to bodice back, by first stitching along the top of the shoulders to the sleeve end, and then along the bodice side seams. Repeat for lining or self lining. Clip into the seam allowance, at the curve on the bodice side seam, between the bottom of the sleeve and the waist. Press all the seams open. Now's the time to use a tailor's ham if you have one. 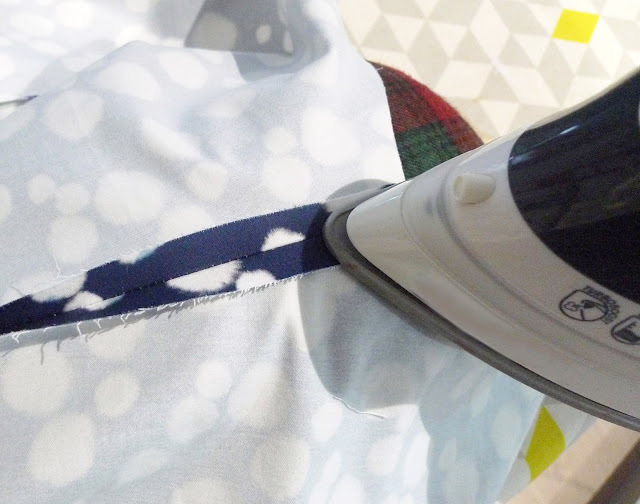 If you don't, try using a rolled up towel or sheet to get a start on opening up the seams (but make sure that your iron is not too hot, or you'll transfer to towel pattern to your fabric). Stitch the bodice and the lining or self lining together along the neckline, with right sides together. If you are making Version 2, pivot at the bottom of the V neck and when you are finished stitching clip to, but not through the pivot point. Clip to the seamline, at all the curves of the neckline, before pulling the bodice right side out. Tomorrow we'll press and finish the seams. Phew, congratulations - day one is complete! Tomorrow will be a lighter day, finishing up up the bodice and sleeves. Let me know how it's going! #baseldress on Instagram, or email me at designhonig [ at ] gmail [ dot ] com if you have any questions.